Euthanasia Prevention Coalition Euthanasia Prevention Coalition: Canada's Minister of Justice asks Supreme Court for extension on assisted suicide legislation. Canada's Minister of Justice asks Supreme Court for extension on assisted suicide legislation. 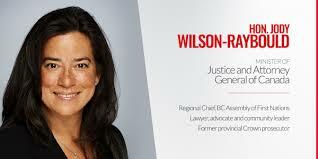 The Minister of Justice and Attorney General of Canada, the Hon Jody Wilson-Raybould, yesterday, asked the Supreme Court of Canada for a six-month extension to enable the government to legislate in response to the Supreme Court of Canada Carter decision. The Euthanasia Prevention Coalition (EPC) supports the request of the federal government for a six-month extension on Canada's euthanasia and assisted suicide laws. We question whether six-months is a sufficient time-frame to accomplish its legislative task? Following through on its commitment to Canadians, the Government will establish an all-party special parliamentary committee to make recommendations on a federal government response. While it is true that an extension of the suspension will mean that some Canadians will have to wait to access physician-assisted dying, it is necessary - and responsible - to ensure that sufficient protections are in place across the entire country. The extension, if granted by the SCC, will allow all parliamentarians to study the issue and engage with Canadians in a meaningful way. The Government's response will follow quickly, and will be informed by the extensive work of the federal external panel, the work undertaken by the Quebec government in developing its own important legislation, the provincial-territorial expert advisory group, and medical colleges and associations, as well as by all parliamentarians and their essential consultations with Canadians. On December 1, Justice Michel Pinsonnault, of the Québec Superior Court, prevented the December 10th launch of the euthanasia law. Justice Pinsonnault found that as long as the provisions of the Criminal Code are in place, a Québec physician administering euthanasia under the provincial law would be committing a crime. Based on this decision, Québec cannot launch its euthanasia program until the Federal government has legislated on the issues. The Québec government has stated that it ask the Supreme Court to request that the Québec euthanasia law be exempt from the extension. EPC opposes the Québec government receiving an exemption from the six-month extension. 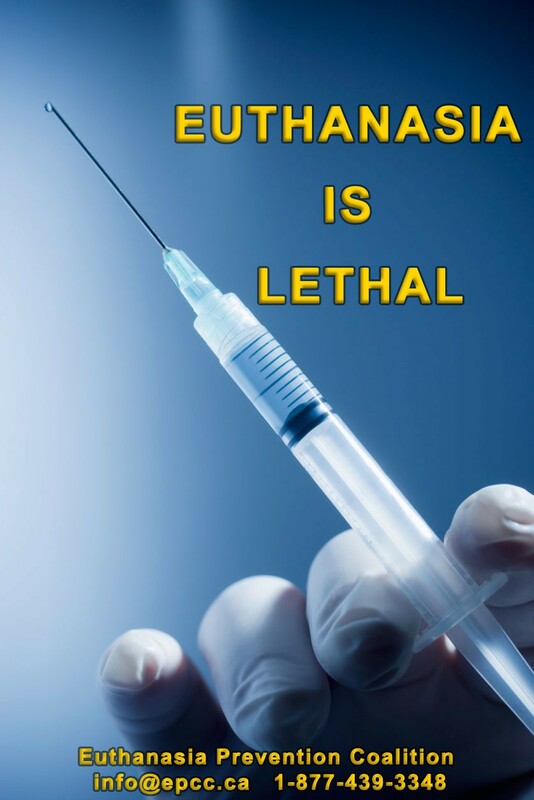 The Québec law defines euthanasia (lethal injection) as a form of 'medical aid in dying.' Justice Pinsonnault correctly stated that 'medical aid in dying' is a euphemism for euthanasia. Québec Superior Court decision stops December 10 launch of Québec euthanasia law. Medical aid in Dying in Québec is euthanasia. Québec's assisted dying law in conflict with Criminal Code, Judge. Québec's euthanasia regulations are clear as mud. I think extension will still prove that euthanasia is wrong but finding will be corrupted anyway, the parliament members don't have clue what proper Palliation means They should be obliged to visit palliative center together with supreme court members and ministers.